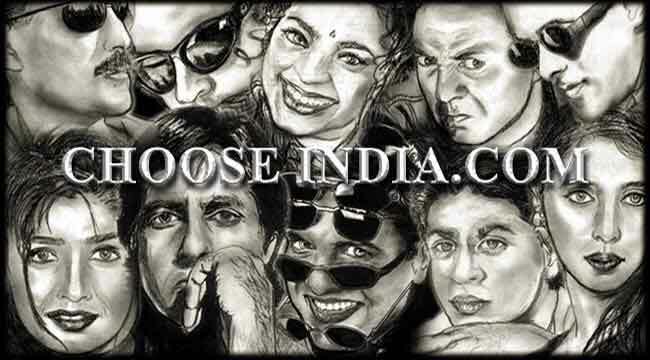 Chooseindia.com brings to you a virtual gallery of hindi film stars. We hope you would enjoy browsing through the sections of the bollywood celebrities portfolio, pictures, snaps, interviews, biography, filmography, awards and their forthcoming movies. This includes photographs, images of the Indian celebrities and models like Amitabh Bachchan, Abhishek Bachchan, Amisha Patel, Aamir Khan, Aftaab, Arjun Rampal, Aishwarya Rai, Akshay Kumar, Akshay Khanna, Ajay Devgan, Bobby Deol, Diya Mirza, Esha Deol, Fardeen, Hrithik Roshan, Juhi Chawla, Kajol, Kareena Kapoor, Karisma Kapoor, Manoj Bajpai, Madhuri Dixit, Mahima Choudry, Puja Batra, Preity Zinta, Riya Sen, Rani Mukherjee, Raveena Tandon, Sanjay Dutt, Shilpa Shetty, Sunil Shetty, Salman Khan, Sridevi, Sonali Bendre, Shahrukh Khan, Tabu Tushaar Kapoor, Twinkle Khanna, Urmila Matondkar...... Very shortly we are coming with the high resolution pictures and screensavers of bollywood / hollywood stars. Feel free to download the photo's and images of cine stars.